What if I said you were wasting your time trying to motivate your employees? Would you think I’ve committed leadership heresy? Would you say I’ve gone off the deep end and lost touch with the reality? Maybe I am a heretic. Maybe I have gone a little bit cuckoo. But I’ll say it anyway. You’re wasting your time trying to motivate people. The reality is people are always motivated. The question is not if they are motivated, but why. That’s the question my colleague Susan Fowler is imploring leaders to ask as they consider how to best lead their team members in achieving their goals and those of the organization. Susan’s recent book, Why Motivating People Doesn’t Work…and What Does: The New Science of Leading, Energizing, and Engaging, along with the training program Optimal Motivation, explores how leaders can help their people tap into the psychological needs that drive their motivations. Once you and your people understand why you do what you do, you can master the ability to choose a more positive and productive motivational outlook. For too long leaders have relied on “carrot and stick” strategies to try to motivate employees. Because B.F. Skinner was able to get pigeons to turn around in circles by offering them food pellets, we assumed we could get people to perform specific behaviors by offering them their own version of food pellets: bonus checks, reward trips, certificates to hang on the wall, etc. That may work for the short-term and for rudimentary, repetitive kinds of tasks, but it won’t unlock the long-term passion and commitment of your people that leads to sustained engagement in today’s knowledge economy. Autonomy – It’s human nature to desire independence and to feel in control of our lives. That desire doesn’t stop at the office door. Help your people be clear on the goals they have to achieve and the boundaries they’re operating within and then give them the authority and responsibility to get the job done the way they see fit. As much as possible, engage them in designing the work systems, creating the metrics used to manage their work, and evaluating the quality of everything they produce. When people are in control of achieving the goal they take more ownership and use their discretionary energy to help the organization succeed. Helping employees develop autonomy is not “letting the inmates run the asylum.” It’s giving them the space and freedom within defined boundaries to manage their work with an ownership mentality. Relatedness – We are hardwired to have interpersonal connections with other people to one degree or another. Your people are much more than worker drones showing up to do a job for eight hours. They are complex, rich, dynamic people with amazing life stories and the relationships they have at work are primary threads in the tapestry of their lives. Leaders can foster a sense of relatedness by encouraging people to connect on the job through mentorships, buddy systems, and activities that foster team morale. As the boss, make the effort to share more information about yourself and the organization to increase transparency and authenticity with your team. 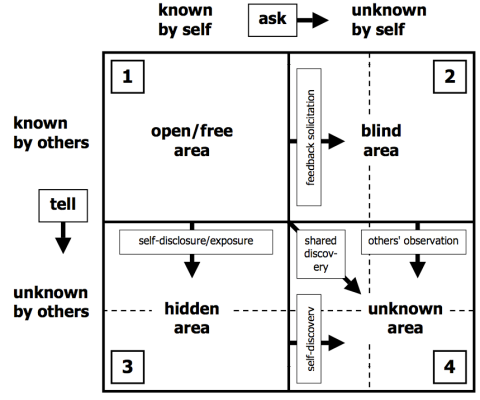 The Johari Window is a helpful model that illustrates how you can improve communication and build trust with others by disclosing information about yourself. Competence – People have an innate desire to continually develop competence in their skills, talents, and abilities. Continuous growth and learning is critical to help people address the challenges and obstacles that come their way. Neglecting to develop the talents of your people is leadership malpractice. People who are ill-quipped to handle workplace challenges quickly become overwhelmed and give up, while those who are committed to ongoing development are able to flexibly adapt to changing business conditions. Motivation isn’t something that a person either has or doesn’t have. Everyone is motivated in one way or another. They key question is “What is the quality of their motivation?” I have a belief that you can’t motivate anyone. It’s up to each person to choose their level of motivation. But what I can do is help create an environment that encourages and allows people to be optimally motivated. If you’re interested in learning more about how to develop Optimal Motivation for yourself and others, join the free Leadership Livecast Motivating People Doesn’t Work…What Does? on February 25 or 26. I often find myself driving my car on auto-pilot. No, my car doesn’t actually have autopilot (although Tesla is testing one that does! ), but I’ll find myself mentally on autopilot. Since the vast majority of time when I drive I’m traveling the familiar journey to and from work, I’ll sometimes mindlessly start driving the same route even when I’m intending to go somewhere else! Over the course of my leadership journey there have been times when I’ve found myself leading on autopilot. Using autopilot is a helpful and necessary tool for airplane pilots, but it’s deadly for leaders. Leading on autopilot is equivalent to “mailing it in” – you physically show up to do the job but your heart and mind are elsewhere. 1. Your to-do list is filled with low-impact tactical items – I’m not one to make a big difference between leadership and management, but one of the clear differentiators in my mind is that leaders initiate change and managers react to it. If you find your to-do list is filled with low-impact, tactical items that contribute more to the daily operations of the business, then you may be running on autopilot. Your to-do list should be focused on big picture, strategic items that could make significant improvements in your operations. There is nothing wrong with having tactical items on your to-do list. Every leadership job has a certain element of administrative or operational tasks that must be handled. The key is the amount of time and energy you devote to the tactical versus strategic parts of your role. You can dedicate more time for strategic items by intentionally planning strategic thinking time on your calendar. Block out chunks of time on a regular basis to think and plan for the long-term needs of your business. Spend time talking to your customers, stakeholders, and other leaders in the organization to help you get a broad view of the landscape of your business. Do your best to take control of your calendar and don’t get trapped in firefighting all the urgent issues that cross your desk. 2. You find yourself in reactive mode all the time – Building on the previous point, leaders who run on autopilot often find themselves surprised by changing business conditions. 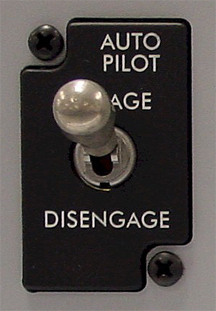 The autopilot leader easily becomes oblivious to changes occurring around him until the nature of the situation reaches a crises point, forcing the leader to snap back to reality. This happens because the leader was content to react to change rather than initiate it. Leaders have the responsibility to survey the landscape and proactively make changes to position their teams to take advantage of changing conditions, not be waylaid by them. If you find that you are constantly reacting to issues raised by customers, other organizational leaders, or even your team members, then you’re probably being too passive as a leader and letting circumstances dictate your actions. Instead, focus on being proactive and trying to shape those situations to your advantage. 3. You get upset when your routine is disturbed – Routine has the potential to be quite good. It can create powerful habits that lead to effectiveness over a long period of time. However, routine equally has the power to be bad. Taken to extreme, routine becomes complacency. Most people prefer some sort of routine, whether minimal or quite elaborate. We’re creatures of habit and it’s a normal part of our makeup. However, we have a problem when we’re more emotionally and mentally invested in preserving our routine at the expense of adapting our leadership methods to accomplish the goals of our organization. One of the most important competencies for leaders in the 21st century is adaptability. The pace of change continues to accelerate year after year and only adaptable leaders will survive while complacent leaders will be left behind. If you find yourself getting perturbed or exasperated because your routine is being messed with, you may have been running on autopilot too long. Running on autopilot is great if you’re a pilot, but it’s a bad idea if you’re a leader. Instead, find yourself copilots who can shoulder the burden with you. Leadership doesn’t have to be, and shouldn’t be, an individual sport. Today’s business landscape and organizations are too fast-moving and complex for one person to lead by him/herself. Surround yourself with capable leaders and team members who can fly the plane with you and you’ll find you won’t have any need for leading on autopilot. 1. Happiness is a fleeting emotion largely dependent on external circumstances – Defining happiness can easily lead to a battle of semantics, but a common, basic definition of “happy” is: delighted, pleased, or glad, as over a particular thing (e.g., to be happy to see a person). I’m happy when I come home from work and my kids have straightened up the house or loaded the dishes into the dishwasher. When it doesn’t happen (which is often), I’m not happy. Does that mean I love my kids any less? No. Is my life less fulfilled because I’m not happy? No. Happiness comes and goes, so it’s not something I want to build my life around. Happiness is too dependent on circumstances beyond my control for me to make it my goal. However, I can control how I respond to the circumstances of my life and I can choose to have a positive attitude. There are many times when work and life deal us a crummy hand. We have to work overtime, business travel takes us away from important family events, or we make a mistake and get reamed out by the boss; none of those things make us happy. But if we have the right attitude and perspective on work and life, we can put those situations in their proper place and learn and grow from the experience. 2. Happiness should be a pleasant outcome of good leadership and organizational culture, not the goal – My job as a leader is not to make you happy. If that was the case, then I’d serve ice cream every afternoon and cater to your every need. No, my job is to help you develop to your fullest potential while accomplishing the goals of our team and organization. If I’m smart, I will lead in a way that builds your commitment to the organization and fosters engagement in your work. I’ll also strive to create a culture that supports your health and well-being and makes your work enjoyable. Oh, and by the way, if you’re happy as a result, then great! Your happiness is not my goal, but you’re free to make it your own. 3. Happiness is negatively correlated with meaning – It didn’t take scientific research studies for Viktor Frankl to understand a fundamental truth: pursuing happiness as your primary goal is like a dog chasing its tail. 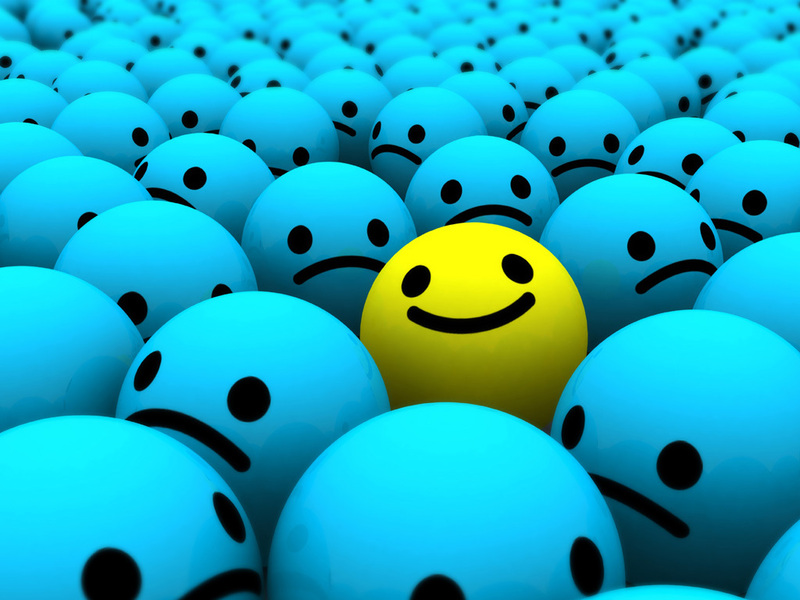 Studies have shown that people who place more importance on being happy end up becoming more depressed and unhappy. Rather than happiness, we need to pursue meaning and purpose. Sadly, according to one study by the Centers for Disease Control, 40% of Americans either do not think their lives have a clear sense of purpose or are neutral about whether their lives have purpose.The same study also reported that nearly 25% of Americans feel neutral or do not have a strong sense of what makes their lives meaningful. Having purpose and meaning in life and at work increases overall well-being and satisfaction, improves mental and physical health, enhances resiliency and self-esteem, and decreases the chances of depression. As a leader, your efforts at helping employees understand and connect to the purpose and meaning of their work will reap more benefit than striving to make them happy. 4. Happiness is self-focused; true fulfillment in life (and work) comes from being others-focused – At its core, happiness is a pretty selfish motive when you think about it. Psychologists explain it as drive reduction. We have a need or drive, like hunger, and we seek to satisfy it. When we get what we want to meet the need, we’re happy. However, lasting success and fulfillment in life comes from what you give, not what you get. The greatest example of this is Jesus and his demonstration of servant leadership. This ancient truth is echoed in contemporary research by Adam Grant, the youngest tenured and highest rated professor at The Wharton School. In his book Give and Take, Grant identifies three ways people tend to operate in their relationships: as givers, takers, or matchers. Not surprisingly, although givers may get burned occasionally, they experience higher levels of fulfillment, well-being, and success in life compared to takers or matchers. I’ve experienced it in my own life and seen it in the lives of others. Those who chase happiness as their primary goal tend to be the most selfish and unhappy people I know. Those who give to others tend to be the most fulfilled, joyful, and happy people I’ve seen. Happiness is a great thing. As I said, I much prefer it to the alternatives. But when happiness at work becomes such a primary focus that organizations start having CHO’s – Chief Happiness Officers – you know happiness has jumped the shark. 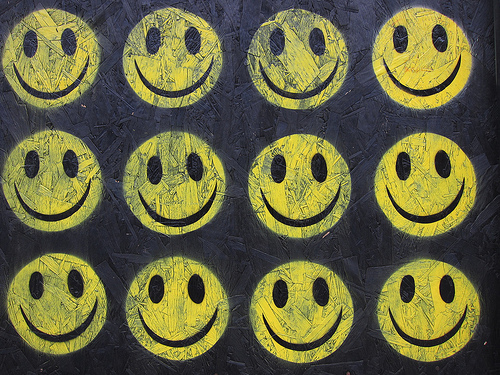 Happiness at work is a byproduct of doing a good job in all the other fundamental areas of leadership, but it’s misguided to make it our ultimate aim. Feel free to leave a comment with your thoughts, opinions, or questions. P.S. I originally published this article last week at LeaderChat.org under a different title. 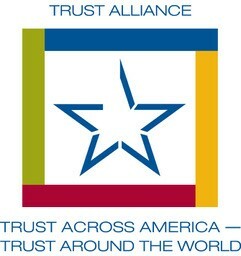 I thought the Leading with Trust audience would enjoy it as well. Creating a workplace culture that breeds high morale and engagement doesn’t happen by accident. It requires leadership – wise, empathetic, discerning, thoughtful, strategic, and caring leadership. And it’s a leadership you can’t fake. It has to flow from the ethos of who you are as a person. For the last 18 years I’ve had the privilege of working for Ken Blanchard, a man who knows a thing or two about leadership. Along with his wife Margie, he has created a leadership development company that embodies several principles of a high engagement culture. In traditional Blanchard style, I’ve taken some complex issues of morale and engagement and tried to crystallize them into simple truths that all leaders can use to build morale in their organizations. Too many work environments are focused on catching people making mistakes. In a well-intentioned effort to improve productivity and efficiency, leaders are prone to reduce an employee’s performance into raw data, metrics, and statistics. Every detail is parsed and analyzed and people’s shortcomings are readily pointed out. Years ago Ken Blanchard said, “People who feel good about themselves produce good results, and people who produce good results feel good about themselves.” It’s a virtuous cycle built on the concept of catching people doing something right. One of the easiest and quickest ways a leader can improve workplace morale is to notice, encourage, and celebrate the good things that are happening. It’s a common occurrence at The Ken Blanchard Companies for us to start meetings with the agenda item of “praisings and celebrations.” We take time to intentionally focus on the good things people are doing and celebrate their successes. Another strategy for enhancing workplace morale is to serve others. It’s hard to be self-centered, critical, and myopic about your own business when you reach out and help others less fortunate. We have an in-house charity organization called Blanchard for Others that supports numerous local, national, and world charities. Employees have a voice in not only directing funds to these organizations, but getting personally involved. Employee volunteer efforts are encouraged through the use of “Blanchard Ambassador” hours—paid time off apart from an employee’s own vacation time—that allow team members to serve with charities locally and abroad. You can build employee morale by not only engaging their minds at work, but their hearts as well. The manner in which you treat your people will be the manner in which they treat your customers. It doesn’t matter if you have a catchy customer service slogan, wallpaper the office with posters of the company mission statement and values, or create fancy marketing materials touting your brand promise, if you treat your people like they’re irresponsible, untrustworthy, and have to be micromanaged, they’ll treat your customers the same way. At Blanchard, people are extended a fair amount of autonomy in their roles to do what’s in the best interest of our clients. Leadership takes this same approach with employees through various programs like Infant at Work, where new mothers are encouraged to bring their infants to work until they reach 6 months of age. The company also sets aside a certain percentage of our profits for employees to donate to the charity of their choice through our Give Back program. The employee, not the company, decides where that money will be used. Autonomy and flexibility are key components in creating a high-morale workplace. To plagiarize Bill Clinton’s 1992 presidential campaign slogan (“It’s the economy, stupid”)—It’s the culture, stupid! At the end of the day, the creation of a high-morale, highly engaged workforce is about intentionally nurturing the norms and behaviors you want in your culture and extinguishing those you don’t. 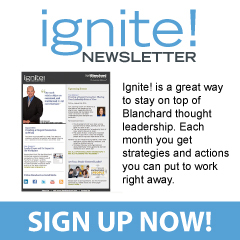 Every day Ken Blanchard leaves a “morning message” voicemail for the entire company. In that message, Ken takes the opportunity to reinforce the core values of our culture. He praises accomplishments of individuals, share concerns for those in need, discusses his latest insights about life and leadership, or shares other inspirational ideas and encouragement. Any single one of these strategies is insufficient in itself, and certainly not appropriate for every organization. However, taken together, they weave together to form the fabric of our culture that results in a highly engaged, positive morale workforce. It doesn’t matter your industry, geography, or size of organization when it comes to building a high-morale culture. It starts with leadership. It starts with you! This post was originally published at Switch & Shift as part of a series on workplace morale. I encourage you to check it out! Performance Anxiety…words often reserved to describe a person’s worrisome beliefs or fears regarding their sexual performance in the bedroom is now being used to describe the same debilitating effects on performance in the workplace. That’s the message from a recent publication by Vadim Liberman of The Conference Board, detailing the “performance anxiety” that has gripped many in corporate America. Years of corporate restructuring, shuffling people between positions, adding, deleting, and modifying roles, departments, and jobs has taken its toll on people. The mantra of “doing more with less” has become the norm as business continues a slow recovery from the economic recession of the last several years. 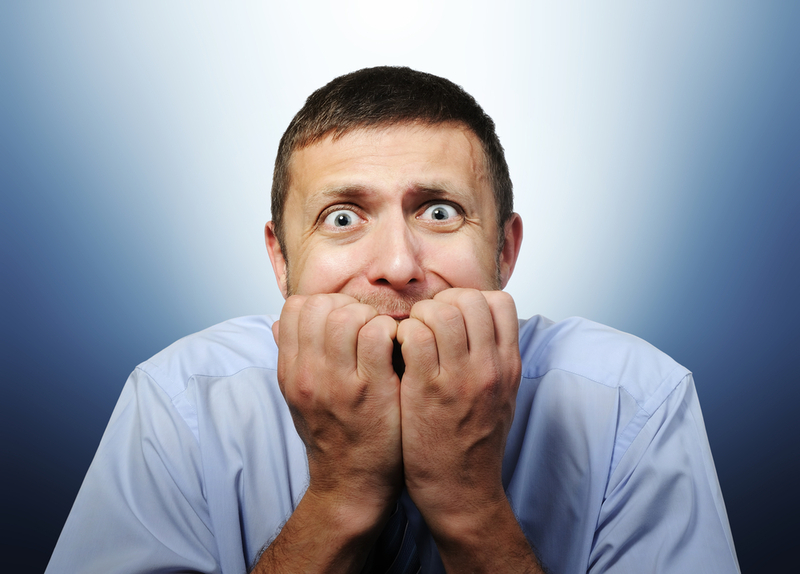 Employees who once feared losing their jobs are now feeling insecure about keeping their jobs. Liberman’s basic point is that people are having trouble keeping up with the amount of tasks added to their plates and the pace of change occurring in their organizations. Recession-driven layoffs, restructures, and job modifications have forced people to take on extra work, new job duties, or assume different roles and it’s taking a toll. As job scope increases, people feel overwhelmed with the amount of work they have to accomplish, and it leads even the most engaged employees to gravitate toward focusing on the least complex, simple tasks they can control, rather than focusing on the most important and complex issues that need to be addressed. According to Liberman, much of the fault lies at the feet of senior leaders. Whether it’s pursuing the latest management fad, reorganizing on a whim, or doing a poor job of managing change, senior leaders can be prone to lay the blame of organizational failure at the feet of employees who aren’t performing up to snuff, not taking into account those same employees are still trying to come to grips with the previous round of changes. Wharton professor Peter Cappelli says, “Today, work demands are through the roof. Not just the amount of work but challenges that employees do not know how to meet, in part because they may not be achievable.” Workplace frustration leads to insecurity which leads to a lack of trust and confidence in leadership. 1. Create a safe and trusting environment—The number one job of a leader is to build trust with his/her followers. Fostering a culture of safety is essential for trust to not only survive, but thrive. People need to know they can count on their leaders to look out for their best interests, protect them when necessary (even from themselves sometimes), and to genuinely care about them as people and not just worker drones showing up to do a job. Simon Sinek speaks to this truth in his insightful TED Talk, Why good leaders make you feel safe. 2. Ask people for their opinions—One of the most tangible ways leaders can combat frustration and insecurity in the workplace is to ask people for their opinions. But asking is just the first step; you have to do something with what they tell you. The higher up a leader rises in the organization, the easier it is to lose touch with the daily frustrations and battles your employees face. It’s easy to oversimplify the problems and solutions our people face and dismiss their expressions of frustration as whining or griping. Listen with the intent of being influenced and be willing to take action on what you learn. 3. Start, stop, continue—As you consider your next round of corporate restructuring, job modification, or process improvements, ask yourself these three questions: What do we need to start doing? What do we need to stop doing? What do we need to continue doing? I’ve found it’s easy to keep adding new tasks while continuing to do the old tasks. It’s much, much harder to identify those things we should stop doing. We can’t continue to pile more and more work on people and expect them to perform at consistently high levels. There is only so much time to accomplish the work at hand. As an addition to the start, stop, continue strategy, I’m seriously considering adopting a strategy from the simplicity movement: for every new task I add for my team, we have to eliminate one task. Enough of task saturation! 4. Manage change, don’t just announce it—Managing a change initiative involves more than just announcing a new strategy. That’s the easy part! The hard part is actually implementing and managing the change well. People go through specific stages of concern when faced with a major change and leaders need to be equipped to address those concerns throughout the process. By addressing the information, personal, and implementation concerns of employees, leaders can be much more successful in helping their people adapt and endorse the change initiative. 5. Focus on development of boss/employee relationship—One of the primary factors in an employee’s success, satisfaction, and engagement on the job is the quality of the relationship with their boss. Intentional effort needs to be placed on cultivating high-quality boss/employee relationships founded on trust and mutual respect. Frequent and quality conversations need to occur regularly between the boss and employee so the boss is aware of the daily challenges faced by the employee and can work to remove obstacles. 6. Foster empowerment, control, and autonomy—People don’t resist change; they resist being controlled. Much of today’s workplace frustrations are caused by workers having a lack of empowerment in their role, little control over what effects them at work, and scant autonomy in how they perform their tasks. Leaders can build engagement by focusing on the development of these three qualities in the work people do. Performance anxiety in the workplace is like organizational high blood pressure—it’s a silent killer. This silent killer is not always evident through outward symptoms, but it’s always lurking underneath causing damage day after day. We have a choice…will we do anything about it? 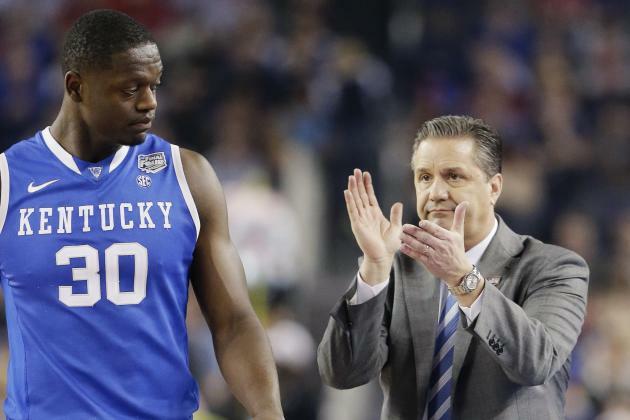 That was Kentucky coach John Calipari’s advice to one of his star players, Julius Randle, during half-time of the NCAA Men’s Basketball Championship game this past Monday night. Coming into the game, Randle had been averaging over 15 points and 10 rebounds, yet entering half-time he had scored just 6 points, grabbed 2 rebounds, and was clearly fazed by the pressure-packed environment of the championship contest. Calipari knew his player was out of rhythm, trying too hard to contribute and forcing the action, rather than relaxing and letting the game come to him. Calipari wanted Randle to get lost in the game, to be in the flow. The flow is the metal state you’re in when you’re fully immersed in an activity that consumes your entire focus, energizes your attention, and produces a deep level of satisfaction and joy through the process. In the groove…in the zone…wired…in the moment…on fire…and my personal favorite, beast mode, are all ways of expressing this condition. It’s when we do our best work and experience the most fulfillment in our activities. It’s also a rare and fleeting circumstance to be in the flow. How can we be in the flow more often? How can we get “lost in the game?” First, we have to understand the conditions that lead to flow experiences. Second, we have to take steps to create the environment for us to get in the flow. A clear goal – This is why you often hear athletes talk about being in the zone or having tunnel focus when it comes to their activities. Whether it’s trying to hit a pitched ball, complete a pass, score a goal, make a last second shot, or cross the finish line ahead of others, there is a clear goal that lends purpose, structure, and process to the task at hand. A lack of clear goals is why we often don’t experience the flow at work. Unclear goals make it difficult to narrow our focus and attention and leaves us feeling stuck or overwhelmed with the work in front of us. A balance between your skills and the challenge of the task – If you perceive you have the skills to meet the difficulty of the challenge ahead of you, it’s easier to get in the flow. If you believe you’re ill-equipped or don’t have the talent to accomplish the goal, anxiety and stress will prevent you from achieving a flow-state. Conversely, if you believe the goal is not challenging enough given your experience and skills, you’ll encounter boredom or apathy. You need the goal to be challenging enough to capture your attention, while simultaneously having enough skill to give you the confidence that you can tackle the situation. Real time feedback on your performance – You can feel when you’re in the flow. It’s those occasions where you lose track of time because you’re completely immersed in an activity and things just, well…flow. And when you’re not, you feel like you’re trudging up a muddy hill, taking one step up and sliding back two. Flow is sustained by receiving feedback on your performance. When you see you’re performing well, it increases your confidence and desire to stay in the flow. When you see you’re off course, you can make adjustments to get back on track and in the flow. Connect your work to the bigger picture – Too many of us view our work with a microscope rather than a telescope. A microscope allows you to zoom in on the details of a particular object, ignoring the surrounding area. A telescope, on the other hand, allows you to see long distances away—the big picture. Rather than being uninspired by the small tasks you have to do, connect them to the importance of the big picture. Figure out how your work contributes to the betterment of the world. How does your work help improve the lives of people by meeting their needs or desires? All work has redeeming value and it’s up to us to discover it. Tapping into the bigger picture will add motivation and commitment to your work and help you achieve flow in your activities. Clarify and prioritize goals – If your goals aren’t clear, work on gaining clarity. Figure out specifically what you’re trying to accomplish, what the standards are, the deadlines to meet, or the deliverables being produced. If you’re challenged with too many goals, work on prioritization. If you have conflicting priorities from multiple stakeholders, you may have to involve your supervisor to help you. Get clear on what you need to accomplish and then apply laser-like focus to your activities. View work as a game – Games in general, and video games in particular, lend themselves to flow experiences because they are immersive in nature. We get wrapped up in figuring how to reach the new level, unlock the next treasure, or beat the “boss.” You can apply the same principles to your work. Engage your mind in thinking about how can you accomplish things faster, better, or easier. Are there other ways you can approach tasks or activities that may bring more fulfillment? Look at work as a game you’re trying to master and let your creativity run wild. Seek out bigger challenges and/or improve your skills – Complacency, boredom, and apathy are flow killers. If you find your work lacking in challenge, seek out new ones. Work with your supervisor to see if there are increased responsibilities you can take on, project teams you can join, or other ways to add more challenge in your work. On the flip side, worry, stress, and anxiety are also flow killers. If you find your work is too challenging, explore skill development opportunities. Go back to school, read books, get a mentor, or seek out additional training to boost your confidence and capability to meet the challenges you face. Find your sweet spot – Your sweet spot is where your skills are matched appropriately to the challenge, and when you find that place, you have the greatest chance of achieving states of flow. Finding your sweet spot might mean following point #4 above, or it might mean transforming how you do your work by changing/improving processes, delegating it to someone, or collaborating with others. 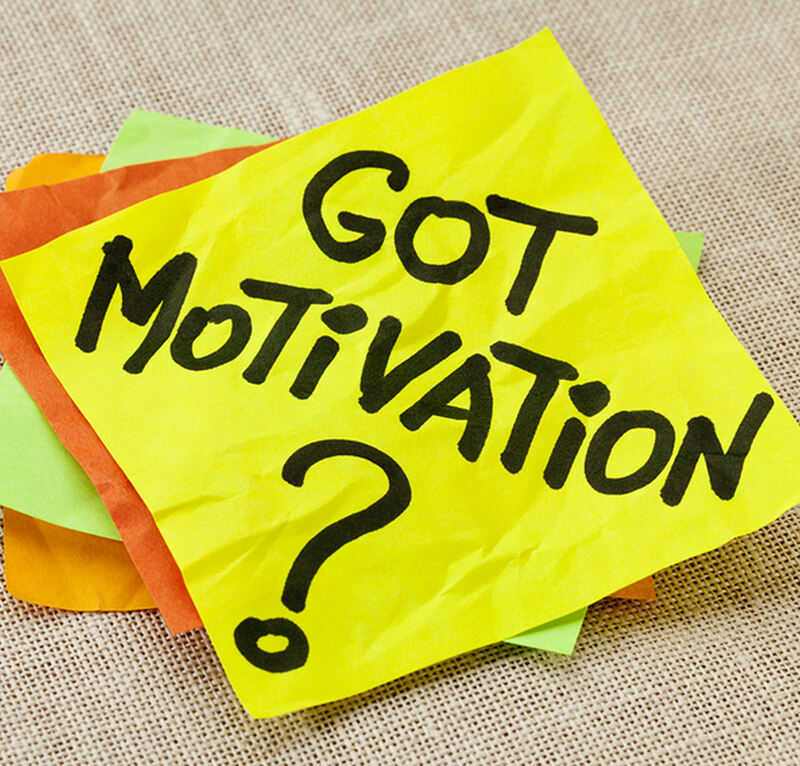 Choose your motivation – Your supervisor is not responsible for motivating you. You, and only you, control your level of motivation. You can choose to be disinterested in your work or feel like others are imposing work on you, or you can choose to shift your motivational outlook by focusing on areas of your work where you can exhibit autonomy in your activities, mastery over how well you do your job, and satisfaction in the relationships you build with others. Kentucky ended up losing the championship to UConn and Julius Randle never really got into the flow of the game, finishing with just 10 points and 6 rebounds. However, it doesn’t negate the wisdom of Coach Calipari’s advice. We do our best work when we get lost in the game. In most workplaces the “F” word is taboo. There are some words you just don’t say out loud and the “F” word tops the list. Leaders, in particular, are afraid to even think about the “F” word, much less say it in public. 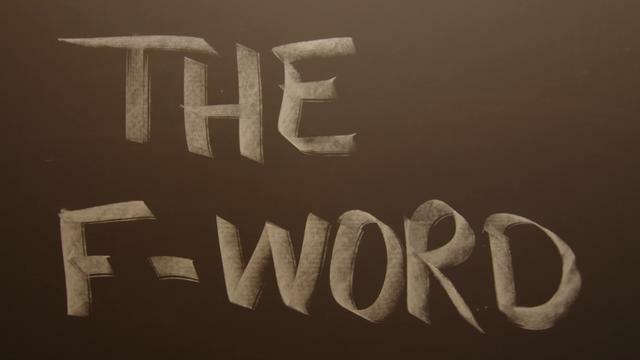 Experienced leaders have learned that mentioning the “F” word is like opening Pandora’s Box. You flip the lid on that bad boy and you’re in for a world of hurt. Some things, including the “F” word, are just better left unsaid. I think that needs to change. Leaders need to use the “F” word more. Much more. 1. It recognizes reality – People don’t check their feelings and emotions at the office door. Every one of your employees is a walking, talking, bundle of thoughts and emotions that affect the way they “show up” at work. Even though every manager in the world wishes that people kept their personal lives at home and didn’t bring their issues to work, that’s just not realistic. Everybody, including you and me, have issues in our lives that affect our work performance. Maybe it’s a sick child, an ailing parent, marital problems, financial pressures, <insert challenge here>, you name it – we all have ups and downs in life. Effective leaders have learned to be emotionally intelligent and understand the need to manage the whole person, not just the faceless/mindless “worker” that shows up to do a job. 2. It builds trust – There is no more important leadership competency than building high-trust relationships. There is very little chance for success in the leader/follower relationship without a solid foundation of trust. One of the core elements of a trustworthy relationship is “connectedness.” People trust you when they know you care about them as individuals and not just workers being paid to do a job. Acknowledging emotions, maintaining open communication, and recognizing/rewarding people for their accomplishments are key behaviors in building trust. You can’t build trust without using the “F” word. 3. It fosters engagement – Research has shown there are 12 primary factors in creating passionate employees at work. By “passionate” I mean engaged employees that are willing to be good corporate citizens, perform at high levels, and devote their discretionary energy to accomplishing their goals and those of the organization. Two of those 12 factors are relationship-focused: connectedness with leader and connectedness with colleagues. Like the theme song from the old TV sitcom “Cheers” says, “You want to go where everybody knows your name.” People need rewarding interpersonal relationships with their coworkers to be fully engaged on the job. Employees also want and need a supportive and personal relationship with their boss. Of course this varies by personality types and other factors, but everyone wants to have a positive and productive relationship with their leader. You have to talk about feelings if you want engaged employees. The world at work has changed dramatically over the last 25 years. The “F” word used to be off-limits. Everyone understood that people showed up for work, punched the clock, did their job, punched out, and went home. There wasn’t any namby-pamby talk about feelings, engagement, well-being, or happiness at work. You want to be fulfilled? Get a hobby outside of work. That will fulfill you. Nowadays there is much less separation between a person’s personal life and work life. Technology has blurred the boundaries between those areas and it’s created new dynamics in the workplace to which leaders have to adapt. Whether you like it or not, leaders have to know how to deal with feelings in the workplace. Get used to it, you’re going to have start using the “F” word more. Much more. Never in history have we been so technologically connected to each other in the workplace. Email, instant message, text message, and social media have enabled us to be in constant and immediate communication with each other. Yet record numbers of people are disengaged on the job and distrust their organizations, senior leaders, and coworkers. Based on research from the Pew Research Center and The Ken Blanchard Companies, 81% of employees say their leaders don’t listen well and 82% feel they don’t receive helpful feedback. Only 34% say they meet with their boss weekly and 28% never or rarely discuss future goals and tasks even though 70% wish they did. If that wasn’t depressing enough, consider that 64% of employees say they want to talk to their boss about problems they’re having with colleagues but only 8% say they actually do. 1. Have a people focus – People are more important than things. Don’t get so wrapped up in the busyness of your job that you neglect to build authentic relationships with others. Take interest in the lives of your colleagues and appreciate the diversity that everyone brings to the organization. Ask people what they did over the weekend, how their kids are doing, or what hobbies they enjoy. And here’s a novel idea – instead of sending a colleague an IM, get out of your chair, walk down the hall, and actually have a discussion! 2. Improve your communication – I love the line from the movie Cool Hand Luke when the prison warden says to Paul Newman’s character, Luke, “What we’ve got here, is failure to communicate.” That could be the motto for today’s workplace. You can build trust and connection by sharing information about yourself, and if you’re a leader, about the organization. Examine the frequency and ways in which you communicate and make adjustments if needed, particularly when it comes to giving and receiving feedback. Most importantly, listen. Simply taking the time to listen to people and truly empathizing with their concerns is one of the most powerful trust-building behaviors you can employ. 3. Recognize people’s efforts – Whenever I conduct training workshops I ask participants to raise their hands if they receive too much praise and recognition on the job. No one has ever raised a hand. The truth is that most people are starved for genuine appreciation for the work they do and a simple word of “thanks” or “attaboy” go a long way toward building trust and commitment. Learn how people like to be recognized and rewarded and find ways to catch them doing something right. The leadership styles and practices of managers are key drivers of trust and engagement in the workplace. Last week, The Ken Blanchard Companies announced the release of The SLII® Experience, a new learning design for its flagship product Situational Leadership® II (SLII®), the world’s most taught leadership model. Learning to flex your leadership style to the needs of your followers, giving them what they need when they need it, will lead to high-trust relationships that foster the kind of connection and engagement that people crave in today’s workplaces. There’s a big difference between fitting in and belonging. In fact, fitting in can be one of the biggest barriers to belonging, says researcher and author Brené Brown. 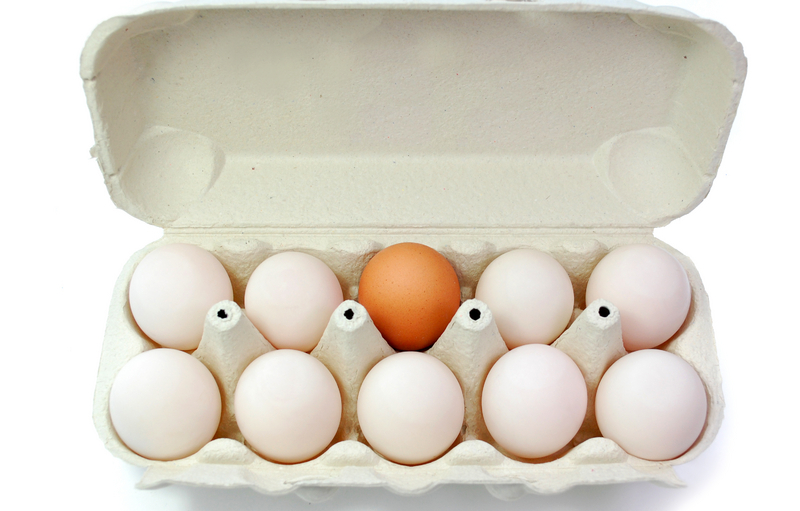 Fitting in is about assessing a situation and adapting who you are – your personality and behaviors – in order to feel accepted. Belonging is about freedom – freedom from having to change in order to be accepted and being valued and respected for being who you are. Not much has changed since eighth grade, has it? Sadly, too many leaders and organizations expect people to just fit in. After all, it’s much easier to tell people they need to adapt in order to fit with the organizational culture, rather than find ways to help people belong and have the organizational culture absorb and reflect their uniqueness as individuals. Helping people find a sense of belonging leads to them being fully engaged and committed to their work and the organization. It causes people to tap into their discretionary energy to accomplish the goals of the organization versus settling for just fitting in and doing the minimum to get by. 1. Give power away and allow people to take ownership of their work. People who feel they belong in an organization have a sense of ownership; it’s their organization. That ownership mentality comes from being given responsibility and authority for doing their jobs and being given the freedom to achieve results. Equip and coach your people, delegate wisely, and then get out of their way. 2. Listen and respond to feedback. Most leaders say they are open to hearing feedback; fewer leaders actually listen and do something with it. Leaders create an environment of belonging and safety when they actually take the time to sit down and listen, acknowledge a person’s concerns, and discuss how they will respond to the feedback. People don’t feel they belong when leaders don’t listen, dismiss, or disregard their input. 3. Help people understand how their work connects to the broader goals or purpose of the organization. People have an innate desire to belong to something bigger than themselves. Leaders tap into this reservoir of power when they help their people understand how their daily work helps the organization achieve its goals and makes the world a better place. 4. Appreciate and celebrate the diversity of their team. Each person is created with unique gifts and abilities and it’s a leader’s responsibility to leverage the individual strengths of their people. Treating your team members as individuals rather than nameless and faceless workers creates a sense of belonging that’s extremely powerful. One of my team members, Ed, has a jovial personality and great dance moves. Who do you think we go to when we need to make a fun team video? Another team member, Kim, is a champion snowmobile racer. Who do we brag about when we have team gatherings? How much do you know about the personal lives of your people? Get to know them and watch their sense of belonging increase. 5. Accept people where they are but refuse to let them stay there. Good leaders accept their team members for who they are, yet also have a desire and commitment to help them learn, grow, and become the best versions of themselves possible. When leaders show commitment to their people’s growth, it fosters a sense of commitment and belonging that can’t be underestimated. Creating a sense of belonging for people requires that leaders be engaged. It means investing time and energy to understand what’s going on with their people, their hopes and dreams, their fears and insecurities. Fostering belonging is about humanizing the workplace and creating a safe space where people can be vulnerable, real and authentic. The payoff of having engaged, committed, and fulfilled team members is worth the effort. If you ask organizational leaders to name their top five challenges, there’s a good chance that retaining key talent will be on the list. Every person and role in your organization is important, but there are mission critical jobs and high performers that contribute substantially more to your bottom line success and it’s those people you can least afford to lose. The U.S. Bureau of Labor Statistics reports an increasing trend in voluntary turnover and the rate of unemployment for people with college degrees is about half the national unemployment rate and is decreasing. There is expected to be an ongoing talent shortage well into the next decade as Baby Boomers retire, technology and job specialization increase, global competition for talent rises, and education systems struggle to keep up with the demands of business. Not only is competition for talent going to increase, the Hay Group reports that 20% of employees plan to look for a new job in the next two years and another 20% plan to leave within the next five years. The reasons cited for jumping ship? Of course the chance to make more money somewhere else is always high on the list, but there is a growing discontent among the workforce after years of low to no pay increases, increased pressure to “do more with less,” and low levels of trust with organizational leaders who have shown little to no regard for their employees. 1. Learn the skill of building trust – Yes, you can learn to build trust. Most people don’t give much thought to building trust. They think it “just happens” over time like some sort of relationship osmosis. The fact is that trust is built through the use of very specific behaviors and if you incorporate those behaviors into your leadership practices you will have high-trust relationships. 2. Foster a culture of engagement – High performers are more willing to stay in jobs and organizations where their needs for autonomy, relatedness, and competence are being met. All people, especially your top talent, thrive on being in control of achieving their goals. They want to continue to develop their competence and expertise and establish meaningful relationships with team members. 3. Ask them to stay – Unfortunately, most leaders don’t ask their top performers to stay until they’ve submitted their resignation and are walking out the door. You can build trust with your key talent by engaging in courageous career conversations. Ask your top people what it will take to keep them in your organization and try to find creative ways to provide them opportunities for growth, learning, or expanded responsibilities. Managing high performers can be just as challenging, if not more so, than managing poor performers. In most cases of poor performance, you can identify specific job skills or personal attributes that need to be improved and put a plan in place to work on those specific issues. When it comes to high performers, you’re constantly having to be creative and find new ways to keep them engaged and growing which can be absolutely exhausting! Regardless of whatever talent management and retention strategies you employ, building a foundation of trust is critical to the success of keeping your best performers. You can choose to build trust today or lose talent tomorrow. This issue presents a tremendous challenge for organizational leaders. 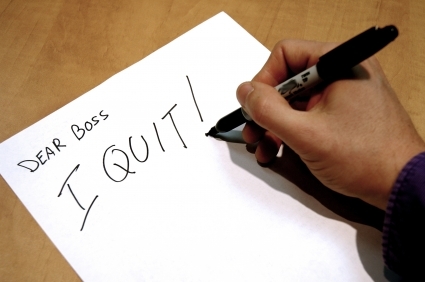 Even worse than dealing with the effects of people who leave your organization, you have to manage these disengaged workers who have decided to “quit and stay.” You’re still paying them to under-perform and ultimately undermine the effectiveness of your organization! Research by The Ken Blanchard Companies on the topic of Employee Work Passion has uncovered 12 factors that help create a culture of engagement. These 12 factors fall into three categories: Job Factors, Organizational Factors, and Relationship Factors. Integrating these factors into your leadership and organizational practices will help foster an environment where employees are more committed, productive, and engaged in their work. Autonomy – People need to feel empowered to make decisions about their work and tasks. They need to be in control of their work and the ability to achieve their goals. Meaningful Work – Your employees need to know that their work matters. How is it connected to making a difference? How does it help them and the organization succeed? Feedback – Engaged employees always know where they stand regarding their performance. Do you offer timely, relevant, and specific information about their performance? 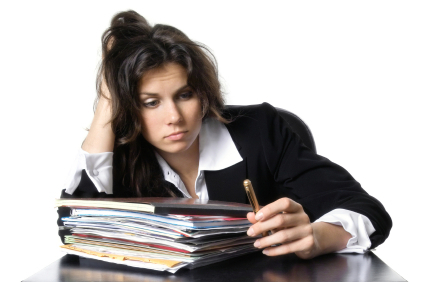 Workload Balance – Having too much work and not enough time to accomplish it all is demotivating. Experiencing peaks and valleys in workload is normal, but when the peak becomes the norm, people quickly become resentful and feel like they’re being setup to fail. Task Variety – Each person is different in regards to how much variety in work tasks meets their motivational needs. Some people are motivated to do a minimal number of tasks over and over again. Others need more variety. The key is to find the right fit for people in regards to the variety of their work. Collaboration – Does your organizational structure and policies foster cooperation among individuals within a work unit or across departments, or does it encourage competition and the withholding of resources? Performance Expectations – People want to know what is expected of them. Does your organization have systems in place that allow employees to clearly know what’s expected in terms of the level of quality and quantity of their work outcomes? Growth – Do employees believe that your organization fosters opportunities for career and job growth? This is increasingly more challenging as organizations become flatter and there is less hierarchical growth “up the ladder,” but smart organizations are finding ways to allow for employee growth through other avenues. Procedural Justice (Fairness) – Are decisions made fairly and equitably? Are rules applied equally to everyone in the organization, or is there a culture of bias or playing favorites? Distributive Justice (Rewards) – People need to feel that the distribution of rewards and compensation are commensurate to the effort they put out and the results they achieve at work. A fair day’s pay for a fair day’s work. Connectedness with Colleagues – Like the theme song from the old TV sitcom “Cheers” says, “You want to go where everybody knows your name.” People need rewarding interpersonal relationships with their coworkers to be fully engaged on the job. Connectedness with Leader – Employees want and need a supportive and personal relationship with their boss. Of course this varies by personality types and other factors, but everyone wants to have a positive and productive relationship with their leader. On January 25, 2012 at 8:00 a.m. PST, The Ken Blanchard Companies is hosting a free Leadership Livecast and I’m excited to be one of 40 thought leaders who will be presenting on the topic of “Quit and Stayed.” Over 5,000 people have registered to attend and I encourage you to take advantage of this opportunity to learn more about how you can address this workplace epidemic.